I have a few guitar pedals and effects units that came from continental Europe and therefore have a two-pronged “Europlug” for power. 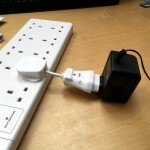 Inspired by power extension cords, I’ve built some adapter cords that solve a couple of problems neatly. So the replacement LCD (a Midas MC21605B6WK-FPTLW) arrived last week, and I headed to the lab to try it out. 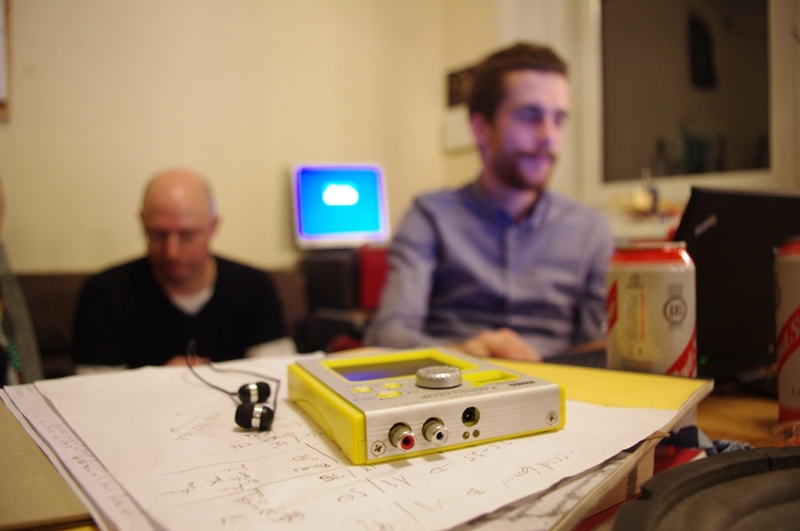 Gareth writes: I’ve wanted a Guitar-to-MIDI converter (a.k.a. a guitar synth) for yonks. In particular, I’ve been looking for an Axon AX 100 unit; they were renowned for the speed and accuracy of the tracking that the proprietary neural network software could achieve. Unfortunately the AX 100 has been out of production for years, and used units are commanding prices in the high hundreds of pounds. However, I recently found a reasonably priced spares-or-repair unit on eBay, so I picked it up. Edinburgh Hacklab is three! Come and party!